Welcome, modders. 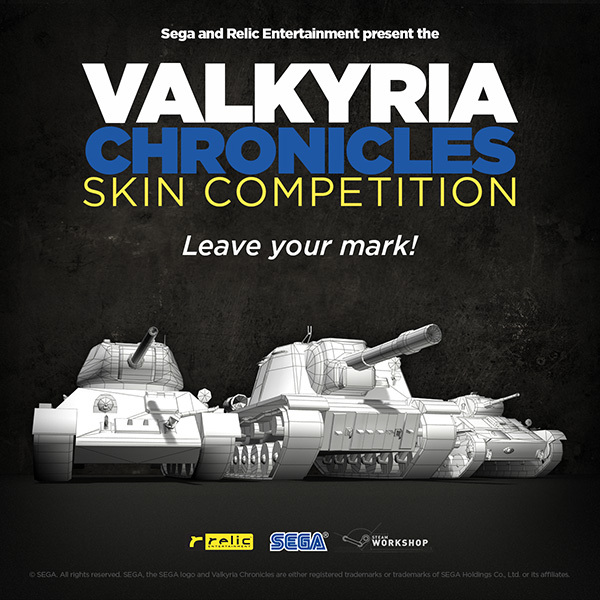 We can't wait to see the incredible skins you guys will be creating this time! Please find below the essential info and links to guide you through making your VC skins and submitting them for this contest. Submissions end 2 July 2016. Winners will get a chance to have their skins featured in the in-game store and earn a 35% revenue share. Happy modding! Check out the vehicle skins page to see what vehicles are in each army. If you are not already a COH2 player, then you may also need a copy of the game. You can buy the game on STEAM or register for a free artist copy, by sending us an email at moc.ciler|sniksairyklav#moc.ciler|sniksairyklav with a link to your COH Modding forums thread and your Steam ID. First, create a thread on the COH Modding forums. This is where you should ask for help if you are having trouble with the tools, and it will also allow you to show your progress to the community and get valuable feedback. Then, you will have to create the skin mod. It is highly recommended that you follow the Skin Pack Wizard to do so. You will have to paint over the base skins in your new mod. This mostly involves texture work that can be done in any painting app such as Photoshop. Then you'll assemble the rest of the skin mods data. You'll need to make a few icons, preview images and write some text to describe your skin. You'll want to burn your mod and test it in game. Next you'll use the game's Modding Hub to publish your vehicle skin pack to the curated section of the Company of Heroes 2 Steam Workshop. Lastly you'll want to add screenshots to the Workshop page to promote your mod. You may also want to add your details to the Workshop so that you will be eligible for revenue share should your skin be selected. Name your mod so we know it’s part of the Valkyria Chronicles competition. In the MODBUILDER tool, prefix the name of your mod with “VALKYRIA” so we know your mod is competing. PS: Full contest rules available here.